Standing tall of any country across the world depends on patriotic spirit and the spirit to love the country of all citizens. Such spirit can be called the nationalistic spirit which has been used by Myanmar in successive eras. The Myanmar Dictionary defines the nationalistic spirit as the safeguarding of the own country and citizens forever. The national interest being currently used in the national politics on a wider scale was based on the aforesaid words. Only when youths always keep such spirits in their minds, will they have nationalistic favors for the nation and the people. Only when youths with a wider knowledge prevent all the acts which undermine the patriotic spirit and nationalistic spirit, will the nationalistic defence capability of the nation rise and will Myanmar be existence as long as the world exits, said Commander-in-Chief of Defence Services Senior General Min Aung Hlaing at his meeting to honour the youths from the marine and aviation training courses held at Zeyathiri Beikman, here, this afternoon. Also present at the meeting together with the Senior General were his wife Daw Kyu Kyu Hla, Deputy Commander-in-Chief of Defence Services Commander-in-Chief (Army) Vice-Senior General Soe Win and wife, the Union Minister for Home Affairs, the Union Minister for Defence and wife, the Union Minister for Border Affairs and wife, the Chief of the General Staff (Army, Navy and Air) and wife, the Commander-in-Chief (Navy) and wife, the Commander-in-Chief (Air) and wife, senior army, navy and air force officers from the Office of the Commander-in-Chief, male and female trainee students from the marine and aviation training courses, the administrator and trainers. In his address, the Senior General said conducting the marine and aviation training courses started in 2014 with the aim of enabling the youths to have sharpened and dynamic patriotic spirit, correct idea and development of five capability tasks. As the advance courses were conducted starting from 2015, increasing number of male and female youths attended the courses year after year. Hence, the youths of the nation are interested in State defence duty with patriotic spirit and the spirit to love the nation. The Senior General continued to say that the youths will become adults at one time in line with a saying goes: “Youths today, adults in future”. Therefore, the youths must have high physical and mental capabilities deserved for a human in their adulthood. As such, they will have the capability to dutifully discharge their relevant tasks at a time when they shoulder various duties of the State. The five capability tasks play of great importance for those youths to have skills at full capacity in discharging the duties of the State. The five capability tasks mean healthy and fit capability called physical power, intellectual capability called mental power, organizational spirit and unity capability called friendship power, moral capability called moral power and property capability called property power. have the spirit to defend the State, patriotic spirit and wider knowledge and idea. The Senior General praised them for passing the training courses as they become good and able offspring who are interested in State affairs and national affairs with sharpening patriotic spirit. The Senior General said nowadays, emphasis is being placed on education sector as the main root for enabling the nation to keep abreast of global countries in development of human resources and human capability. Hence, a large sum of State budget is spent on education and health sector with an aim to emerge a modern, developed nation which can stand tall among global countries. Currently, only when the country’s education sector which directly contributes to the development of human resources of the nation meets the standard to some degree, will the aim “the modern, developed nation will be built through education” meet the achievement. The youths who lead all youths and young people of the nation are human resources which play a key role in implementing the future aims of the State. The Senior General urged them to efficiently utilize the precious time for their lives with the spirit of cherishing the education. 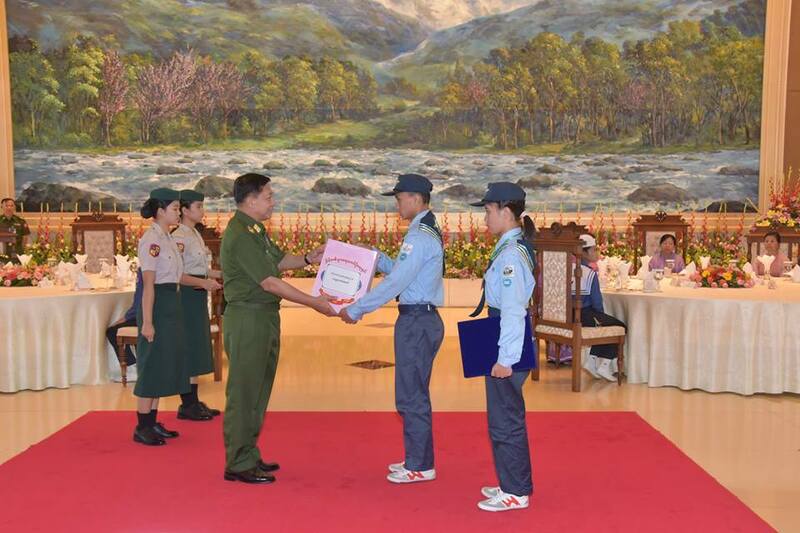 The Senior General went on to say that the Tatmadaw is also implementing the education goal of the State at Tatmadaw Basic Education High Schools, Tatmadaw Education Schools and schools of relevant military units with the aim “to emerge an education standard with continuous development”. In this regard, the Tatmadaw on its part makes vigorous efforts for having success in implementation of education goal which is the main backbone in building the State as a modern, developed democratic nation. 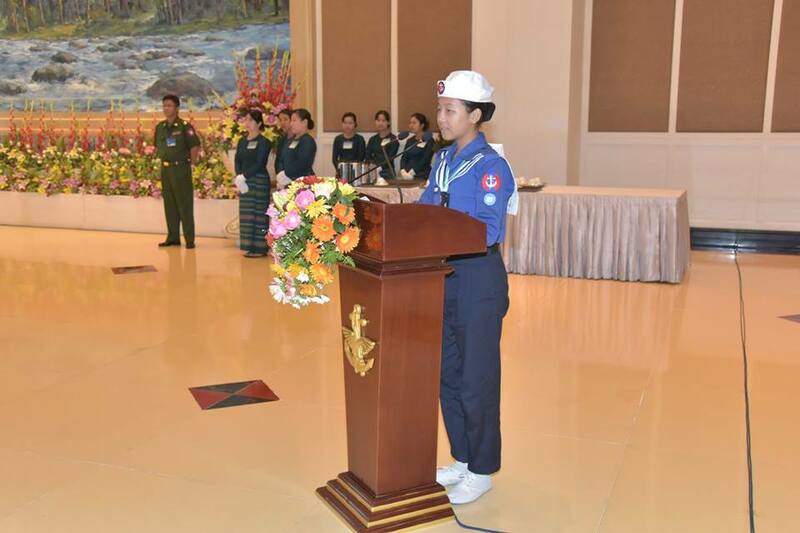 A total of 1,970 trainees from the basic and advanced marine youth courses and 2,196 trainees from the basic and advanced aviation youth courses from 2014 to date were invited to Zeyathiri Beikman for honouring them. 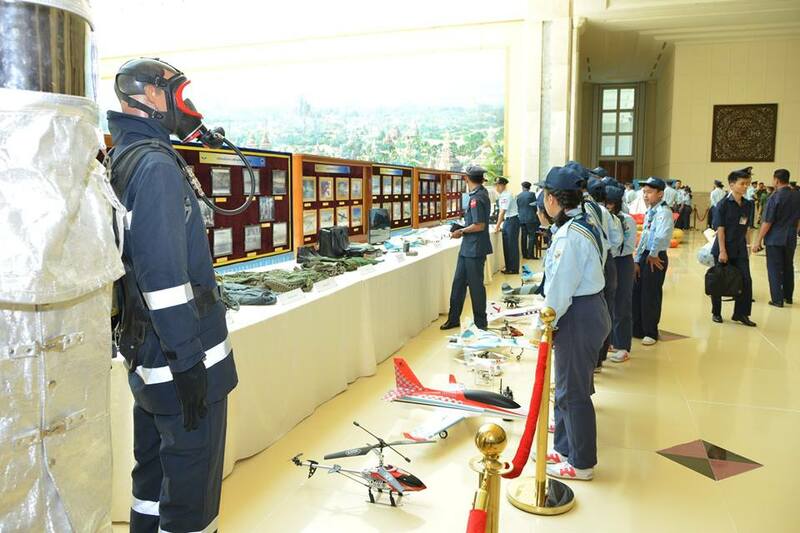 In addition, youths are sent to the Defence Services Museum in order to get knowledge about the military and efforts made for becoming a standard army for the country’s defence. 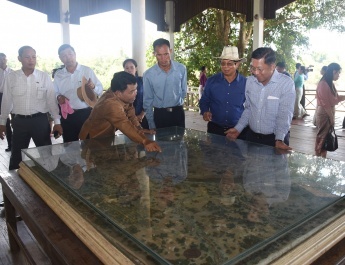 The tour would help expand the knowledge of youths who will become the future leaders partly. The future is the life stage on which youths will have to showcase their capabilities. So youths need to control yourselves to become the ones on which the country and people will have to rely by sticking to patriotic spirits in order that they are not to be overwhelmed by the instigation of those with negative views and destructive elements. Youths are to be stay away from the things like narcotic drug that may destroy their life. Every people and countries are using psychological warfare, media as a tool when a country safeguards their independence which is called the sovereignty and a superpower country tries to overwhelm other country. All youths need to be aware of instigation made by using different propaganda methods which may damage emotional feelings. Youths need to correctly and bravely solve thoughts and behaviors which can undermine the nationalistic fervors from the nationalistic point of view. Correct bravery and courage will have to be intertwined with patriotic spirits and the country-loving spirits. All of youths need to carry out works with a feeling of protecting the country and races. At the international sports competitions, waving national flags, demonstration in the form of national flags, singing national anthem, paying salute to national flag proudly when winning prizes are undertakings and habits based on patriotic spirits. Youths need to retain these spirits. National spirits will be high only when all of youths prevent every act which may undermine patriotic spirits and race-loving spirits, with farsighted views. Myanmar will exist as long as the world exists. Nowadays, the world countries are nurturing youths to become the qualified ones who can overcome any challenges that may face in the future. So, the government is working to ensure the continual production of outstanding youths who have the better foundation of national spirits, as a national duty. Nowadays, efforts are being made to hand down a thought that a human society with the strong national unity and the continual human resource development, to the youths, to defence the future country. 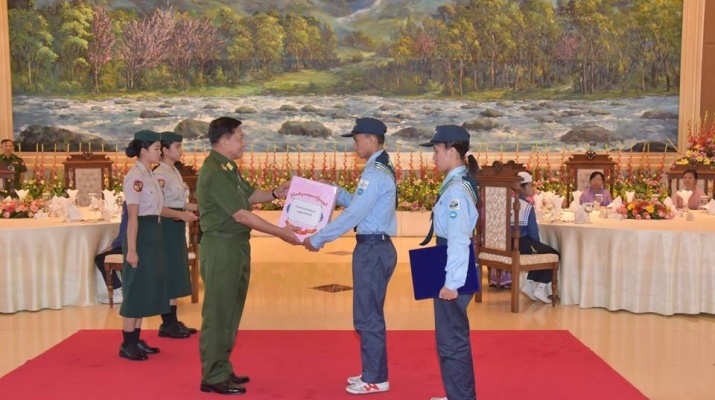 After that, the Senior General presented gifts to trainees from the marine and aviation training courses and received the gifts presented by youths. Afterwards, Ma Khin Sabei Aung from the marine youth training course and Ma Pyae Pyae Phyo from the aviation youth training course expressed words of thanks. Guests and trainees enjoyed honouring songs presented by Myawady Music Band. The Senior General and party cordially greeted marine and aviation youth trainees. 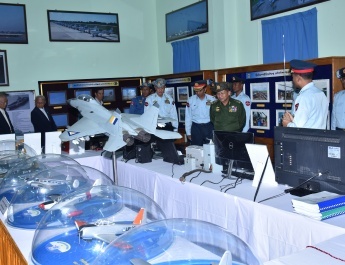 Before attending the honouring ceremony, youths from the marine and aviation training courses looked round weapons produced by Myanmar military, uniforms of Tatmadaw (Army, Navy and Air), communication devices, scale model of vessels made by Tatmadaw (Navy), naval gear, scale models of planes and helicopters, pilot suits and gear and the display of flight flying with simulator. Officials conducted them round the booths. 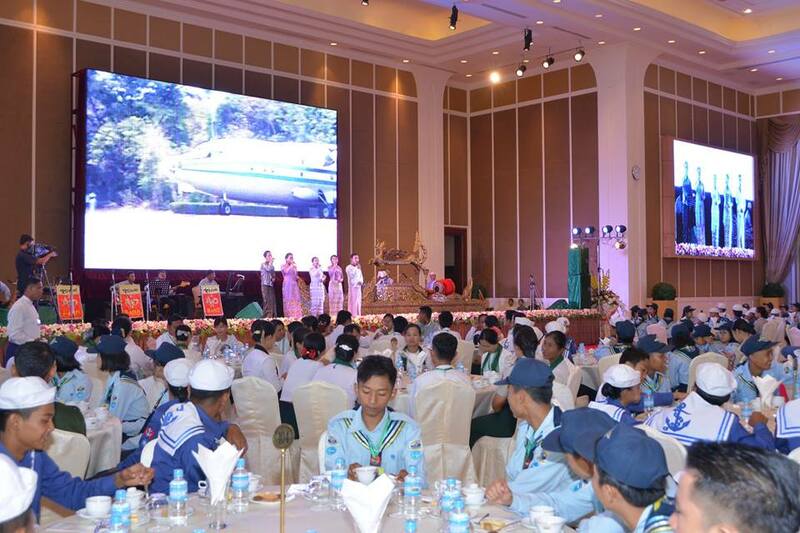 In the evening, youth trainees enjoyed the display of shows by Tatmadaw (Army, Navy and Air) at the Defence Services Museum in Nay Pyi Taw. Basic Marine Youth Training and Advanced Training Course No.1/2018 and Basic Aviation Youth Training and Advanced Training Course No.1/2018 opened at naval headquarters and airbases from April 23 to May 18, 2018. In the last week of training courses, the camps held competitions and conducted study tours. 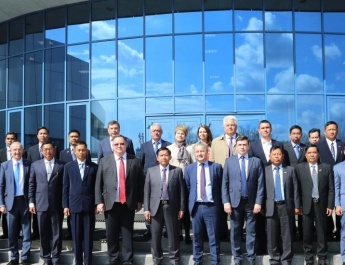 Since 2014, the opening of these training courses has started. In 2015, the advanced courses were opened for those who have attended the basic courses. Since its inception, the courses turned out 1,970 youths—1,444 for the basic marine training course and 526, the advanced course— and 2,196 youths— 2,036 for the basic aviation training course and 160 for the advanced course.